This alert gives notice to citizens in the 14th District of several strong arm robberies that have occurred recently. In each case, an unknown offender(s) approached the victims on foot and demanded property. This alert gives notice to citizens residing in the 5th District of recent related Aggravated Vehicular Hijackings that have occurred. In these incidents unknown offender(s) approached the victims, produced handguns, demanded their personal property, and the keys to their vehicle. The offenders then drove away with the victim’s vehicle. 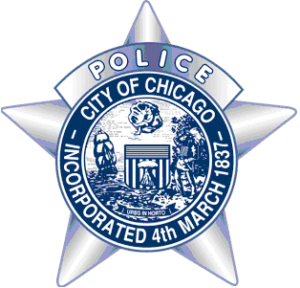 This alert gives notice of two recent Robbery incidents which occurred in the Washington Heights & Auburn Gresham neighborhoods on beat 2222. In these incidents, lone victims were knocked down by a male offender who then took their property. Victims were riding bicycles when robbed. This alert gives notice to residents in the 5th District (Calumet) of recent garage burglaries that have occurred in the West Pullman neighborhood on beat 523. In these incidents, the offenders forcibly entered the residential garages and took property within. The offenders made entry through the side entry door. This alert gives notice to residents of the Morgan Park (22nd) District of recent theft from vehicle incidents that occurred in the Beverly & Morgan Park neighborhoods. Unknown offender(s) have been walking during the early morning hours, pulling on car door handles. When the offender finds an unlocked vehicle, they enter the cars taking property from within. Incidents occur between 12am-6am. This alert gives notice to residents in the 009th District (Deering) of robbery related incidents which have occurred during the month of September. In these incidents, the offenders approached the victims and demanded their property.